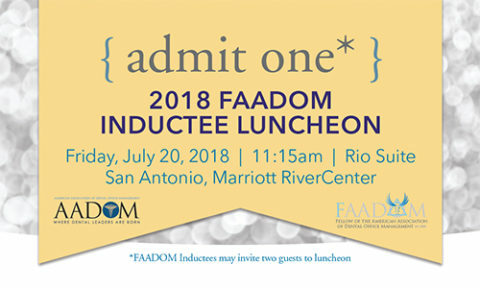 FAADOM inductees will enjoy lunch together before the induction ceremony on Friday, July 20th. Each inductee is entitled to bring two guests to the lunch. Additional lunch tickets may be purchased here. Please note that every attendee to the lunch will be required to present a lunch ticket. Tickets will be included in the FAADOM inductees registration packet.